Jin Shangyi is a quintessentially official artist of the People’s Republic of China. His paintings are prominently displayed in the National Museum in Beijing and other State institutions, he is past president of the leading State-sponsored university of fine arts, honorary chairman of the National Artists Association, member of the People’s Political Consultative Conference and regularly serves on art-related committees of the government. Yet, this cultural exemplar of Chinese civilization would be right at home in a European art academy. His works are not brush-and-ink landscapes and flower paintings characteristic of the Chinese tradition, but oil-on-canvas figure studies that exemplify his lifelong study of European old masters. This seeming contradiction underlies the current exhibition of Jin’s work at the newly constructed art museum of the Central Academy of Fine Arts in Beijing. Rather than a career survey, such as the 2005 retrospective at the National Art Museum of China, the Central Academy exhibition focuses on three paintings made in 2010, each inspired by the Dutch 17th-century master, Johannes Vermeer (1632-75). These pictures are copies of famous works by Vermeer that Jin has modified in order, he says, to express his own emotional perspective on contemporary life. Jin’s act of homage, his “Compliments to Vermeer,” raises a number of issues that this essay will examine from the perspective of an art critic trained and working in the West. What does it mean for a contemporary Chinese artist to abandon traditional brush-and-ink painting to adopt the medium and manner of the European Old Masters? Why devote himself to acquiring the techniques of classic academic painting and absorbing the artistic traditions of the West? Does Jin’s project underscore differences or shared values between Chinese and Western cultures? What role has classical realism played in modern Chinese history, and what place does it have in China and the West in an era dominated by abstract and Conceptual approaches? Can ancient European compositions be adapted to express ideas that are relevant today? How may we consider Jin’s work in a global context? Let us begin with a look at Jin’s three oil paintings and the masterpieces that inspired them. Vermeer’s View of Delft (c. 1660-61; Mauritshuis, The Hague) is one of the most admired landscapes in the history of Western art. It shows the Southern Dutch city from the southeast as seen across a small harbor. Jin visited the site and noted how things had changed: the old houses on the left had been replaced with modern structures, the stone gates to the inner harbor at the center and right had been altered, and all that remained of the old skyline were some church towers and the conical turrets of one of the gates. At first glance, Jin’s New View of Delft could be confused with the original. The composition and scale are more or less the same, and the sky, which fills around two thirds of Vermeer’s canvas, is an exact copy. But on closer inspection the ruse becomes clear. Jin has updated the scene to depict the contemporary townscape, and although he reproduces a barge from Vermeer’s original and the little triangle of land in the foreground, he adds a few figures in modern dress. He plays a similar game with Vermeer’s The Little Street (c. 1657-58; Rijksmuseum, Amsterdam). Again, the composition is generally the same as Vermeer’s, with the alley and the sky on the left half of the picture copied from the original. But in Jin’s revision, titled Old Street of Delft, the right side of the picture is changed. Jin says that he walked the town in search of the brick house that Vermeer had painted, which still survives, but he could not find it, so he photographed a similar building as his model for the upper right area of the canvas. And for the foreground, instead of the lady in the doorway and children on the sidewalk, Jin substitutes a scene he captured with his camera in another part of town. A man stands next to a motorcycle and there is large photographic advertisement in the plate-glass window on the ground floor. The third Vermeer that Jin modifies is Girl with a Pearl Earring (c. 1665-66; Mauritshuis, The Hague), a bust of an unknown woman in three-quarter view looking over her left shoulder to the viewer. Jin duplicates the figure’s position, her blue and yellow turban and yellow dress, the glinting highlight on the earring, and the dark background. But he subtly alters her gaze to suggest trepidation and adds in the lower center her left hand brought to her breast. Though he titles his work Terrified Girl with a Pearl Earring, she seems less scared than slightly apprehensive. In each case Jin has preserved the composition and atmosphere of Vermeer’s paintings, and placed his canvases in Dutch-style black molded-wood frames to further lead the viewer to mistake the variants for the originals. A closer look reveals the unexpected additions and alterations of subject matter, as well as differences in painterly technique. Whereas Vermeer painstakingly built up paintings with many layers of semi-translucent pigments, sometimes melding brushstrokes into an enamel-like finish, Jin employs a more summary technique, describing forms superficially with a single application of carefully selected dabs of paint, each of which remains visible up close. What led Jin to focus on Vermeer? In his travels to European and American museums, Jin was most impressed by Rembrandt and Vermeer. “My personality is somewhat different from Rembrandt’s,” he says, “but I think I share the same characteristics of personality with Vermeer, which makes it easier to paint works that look similar to his.” Vermeer exudes a “quiet and tranquility” for which Jin feels an affinity. “Because I grew up in these times of change,” he says, “that is why I am puzzled. And I think many young people also cannot adapt to the world. Young people are having psychological problems — problems that in China are more serious than in other parts of the world — because the changes are so rapid that you cannot adapt to them. The contradictions are very acute. This perspective is what makes me different from other people,” he says. In his updates of the Vermeers, Jin attempts to express his unease. “I combined together the modern and the old,” he says of his New View of Delft and Old Street of Delft. “And when I looked at [Girl with a Pearl Earring], I wondered, if the girl had lived long enough what would she feel about this fast changing world? I thought that she would have felt very disturbed, too,” he says. Jin gives his version of the girl a troubled look, and acknowledges that she is a surrogate for himself, looking at the world with a little fear. The Western tradition of figurative realism was propagated through fine arts academies founded in Paris, London, Düsseldorf, Copenhagen and other cities in the 17th and 18th centuries. Their strict regimen of instruction – about line, modeling in light and shade, the properties of oil paint, and composition – was the norm until the later 19th century. Then French Realists and Impressionists broke with tradition to paint modern life and explore personal modes of expression that opened the door to the various forms of Modernism. It was only in the 20th century that elements of the academic system of realist oil painting were introduced to China. Jin’s exposure came through two sources: the works of Beijing painter Xu Bei Hong (1895-1953) who had studied at the École Nationale Supérieure des Beaux-Arts in Paris, and instruction by Konstantin Maximov [1913-93], the Soviet artist who came to Beijing from 1955 to 1957 to teach Socialist Realism. “When I started in the 1950s, it was very difficult for Chinese to study oil painting,” he says. “There were only several teachers and the techniques were not good at that time. Some artists had studied abroad but their level was not very high, such as their understanding of teaching drawing and painting…I got the most elementary parts of oil painting,” he says, referring to his instruction from the Russian Academy’s Maximov. “Very few people painted in oil. The conditions were so bad — you could not afford the materials and the pigments were very scarce [because] there were no imports at that time. And you could not see any original work,” he adds. China was economically underdeveloped, museums and collectors had acquired virtually no works by European old masters, and none were on permanent display. Artists had access only to a few poor-quality reproductions, and travel abroad was extremely limited. In addition to the logistical obstacles to learning the Western tradition, there were more fundamental barriers. Oil painting and the Western manner of representing the world are essentially different from Chinese artistic traditions. Chinese monochrome painting in brush and ink on paper or silk describes form in a linear manner with individually distinct brushstrokes. Images tend to be two-dimensional with light and depth conveyed mainly by scalar shifts and atmospheric effects. Western oil painting on wood panel or linen canvas builds form with layers of integrated brushstrokes to create finely rendered surfaces and volumes modeled in contrasting light and shade. Spatial effects are achieved with optical precision using scientific methods of three-dimensional perspective. 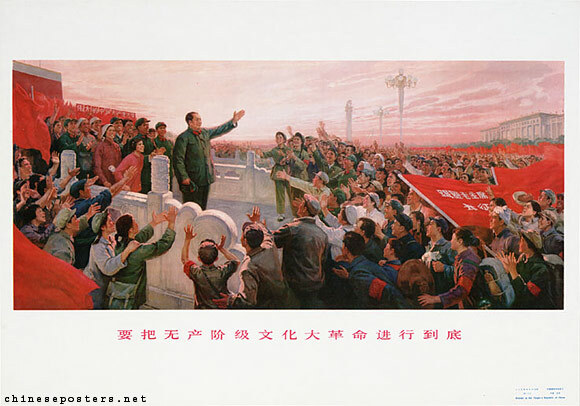 On a technical level, Jin advanced from the workmanlike craft useful to illustrate popular propagandistic political messages to a more sophisticated technique that resulted from diligent study of the high-art tradition of oil painting. Yet, in the context of his Western contemporaries, his accomplished technique, though radical for China, appears highly conservative, even retrograde. At the time he embraced Classical Realism the academic tradition had long been superseded by Modernism. Jin himself recalls, “At that time [i.e., the early 1980s] we were going backwards instead of forward,” learning a style that already was passé in the West. In the West, numerous artists, galleries, and collectors specialize in figurative Realism, but Realist works generally are considered apart from the mainstream of contemporary art unless critics deem them conceptually or theoretically sophisticated. For example, in the 1970s Photo-Realists painted meticulous reproductions of photographs, erasing the brushstroke that is the traditional hallmark of artistic authenticity. In the 1980s the New York artist Eric Fischl (b. 1948) made figurative paintings of suburban decadence and childhood trauma that were heralded for introducing contemporary social and psychological dimensions to contemporary Realism. Since the 1980s the German painter Gerhard Richter (b. 1932) has worked in many styles, among them a blurry Realism based on photographic images from newspapers, television, and other sources. He is one of many artists who continue to give a contemporary spin to the Realist tradition. Another is New York painter Kehinde Wiley (b. 1977) who portrays African Americans as if they were the subjects of Old Master paintings. Now, with his “Compliments to Vermeer,” Jin Shangyi makes a bid to add his name to the list. But, Jin’s contribution to art on the global stage must be gauged in relation to the declining value and relevance of Classical Realism. Until the invention of photography in Europe in 1839, artists strove to represent the world with increasing accuracy. Naturalistic verisimilitude was prized, although subject matter, the formal qualities of the composition, the attitude and psychological resonance of the figures, and painterly style all came into play. After the birth of photography, visual likeness was downgraded as a factor in determining quality in painting. The camera’s mechanical means obviated the need to perfect realism, and artists increasingly began to explore other avenues of expression. The problem with embracing realism in the 20th or 21st centuries is that it runs counter to the currents of history. Western artists moved on to Conceptual and other Modernist approaches to image making, launching revolution after revolution, one movement upending the last, leading audiences to ever more complex understanding of art and human expression. In the context of these historical developments, paintings such as Jin’s, which adhere to a mode of representation established long ago, are often disregarded by artists and critics who consider Classical Realism behind the times and out of touch with the urgent aesthetic, intellectual and social issues that contemporary art engages. The opposition of Modernism and Realism is a battle between the individual and the collective. Modernist developments trace a path inward, away from the visual world outside of us and inward to the mind’s eye and self-knowledge. This Western emphasis on individual realities is profoundly democratic, but can seem distant from the realities of daily life and traditional notions of shared human values. An alternative reading sees Modernism as a road to solipsism: artists creating a world in and about themselves, accessible only to a select group of insiders. It can be argued, for example, that abstraction emptied visual art of accessible meaning by failing to communicate specific ideas and feelings from the artist to the viewer; Pop Art diminished the profundity of art with its ironic celebration of low culture. Conceptualism and Minimalism operate in a hermetic field of art theory that excludes the majority of society. In this light, Classical Realism can seem like a refuge from the new. Should we promote what is new and individualistic or what is familiar and shared? The Russian “formalist” critic Viktor Schlovsky (1893-1984) insisted that art should be made difficult and unfamiliar to challenge complacent habits of perception and thought. His proto-Modernist attitude maintains that by constantly questioning received ideas, humankind can explore new regions of thought and experience, perhaps gaining essential knowledge about existence. This is the credo of the avant-garde: continual revolution will lead to enlightenment. But just as classical music and ballet are no longer the cutting edge in the fields of music and dance, yet still attract devoted followers who appreciate their beauty, Classical Realism, too, can be a source of aesthetic pleasure and meaningful content. For most people the comfort of a more conservative approach is preferable. They do not wish to learn a new language in order to understand the personal expressions of artists. Jin Shangyi, Cultural Revolution, 1973. 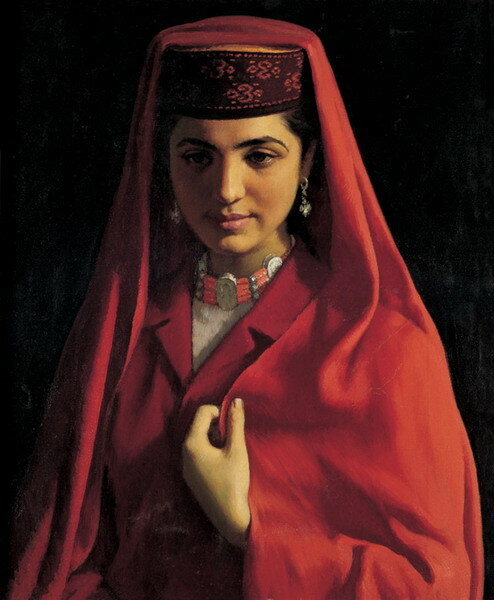 The natural preference for Realism is nearly universal, in the West as well as in the East. But the Chinese predilection for Realist oil painting is also a result of official policy. Throughout most of Jin’s early career the State art bureaucracy dismissed, and at times forbade, the Modernist emphasis on the individual. The Soviet Union had abolished the Russian avant-garde’s plans to “liberate subjectivity” and instituted instead a policy of Socialist Realism that deployed figurative painting to tutor the masses. China followed this example, using Realism as a State instrument of social engineering. Today there is far greater tolerance of subtly critical artistic visions, but in the decades following the establishment of the People’s Republic, artists were commissioned to invent scenes calling for social justice and conformity to prescribed moral behavior. Socialist Realist artists painted idealized and optimistic visions of society that served as propaganda for the regime. 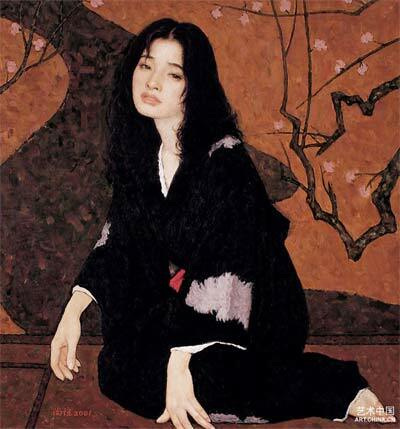 Jin began his career producing triumphant images of Chairman Mao and the Communist revolution, but since the 1980s he has focused on informal portraits, academic studies of the human figure, and perfecting the technique of oil painting. It makes sense that an artist trained to serve a political regime would aspire in his private practice to eschew politics and escape into the quiet realm of the studio. He has dedicated himself to aesthetic refinements of painting, examined the psychology of his sitters, and even painted explicit nudes – activities that would have been condemned in the Cultural Revolution as bourgeois individualism, but today are widely accepted in China as in the West. Asian art in general, and Chinese art in particular, has profoundly influenced the art of the West – Asian ceramics, Chinese landscape and flower painting, Japanese woodblock prints, not to mention spiritual and philosophical thought found their way into Western decorative and fine arts. But until the 20th century the reverse influence was far less evident. Western impact on Chinese art took place mainly during three distinct phases: first with the arrival of Jesuit painters such as Giuseppe Castiglione (1688-1766) who introduced Western perspective to the 18th-century Qing court; second, with the influx of Soviet Socialist Realism as an agent of Communist propaganda in the decades after the founding of the People’s Republic in 1949; and then with the opening up in the late 1970s which allowed increased attention to Western contemporary art and photography that accelerated since the 1990s with movements such as Political Pop. Jin delved into Western-style oil painting during the middle to late phase, a period marked by mutual suspicion between China and the West. The Cold War era saw little cultural exchange other than so-called “Ping Pong Diplomacy” involving joint participation in sporting events in the 1970s. United States President Richard Nixon’s famous trip to China in 1972 furthered the thaw, but transcultural exchange remained sporadic and superficial. But, Jin’s artistic ambitions were outside the realm of politics. He recognized that Western artists were not enemies of the Communist Party, but individuals engaged with aesthetic and technical problems similar to his own. From a Western perspective, Jin appears as a leading artistic figure in the pivotal phase of Chinese art history that saw a shift from Socialist Realism inspired by Soviet models to more personal avenues of expression — in his case through study of the aesthetics and techniques of the Old Masters. In this sense, Jin has been a gentle liberator of expressive freedom in China. The fact that Jin not only admired the Western Old Masters, but dedicated his life to a study and emulation of their work can be seen as an extraordinary gesture of cultural refinement and respect at a time of political tension, one that goes beneath the level of nationalist politics to engage with the humanistic values shared by East and West. With the paintings after Vermeer Jin has endeavored to express a broad cultural theme – namely the unease he and others feel with the rapid changes transforming modern society. “Mostly I want to convey human feeling in this fast changing world,” Jin says. Jin has chosen as a vehicle for this idea compositions he has appropriated from an Old Master. There is precedent in China, where copying the ancients and absorbing their styles is the accepted manner of learning brush-and-ink painting. In the West also there is a tradition of artists reinterpreting the work of their predecessors. For example, a direct lineage connects Edouard Manet’s Olympia (1863) to Francisco de Goya’s Naked Maja (c. 1800-05), Diego Velázquez’s Rokeby Venus (c. 1647-51), Titian’s Venus of Urbino (1528) and antique Roman and Greek sculptures. And Modern artists have continually mined art history in order to critique the canon of aesthetics. In taking Vermeer as a model for reinvention, Jin follows accepted practice, just as in adhering to Classic Realism he extends a long tradition. As a professor at the Central Academy and other schools, Jin helped develop the oil painting curriculum that has trained generations of Chinese artists. Some of his students – and their students in turn – adopted the conventions of Classical Realism. Others developed more contemporary variations of painting that have become more highly regarded in international art circles. The work of China’s most successful contemporary painters, though quite distinct from Jin’s, might not have developed so rapidly without the presence of academic courses in the techniques of oil painting that Jin helped to establish. In his late career, as China opens itself to more Conceptual approaches current in the international art world, Jin finds himself at odds with prevailing attitudes. He likes the Realist paintings of Liu Xiaodong (b. 1963), but not all contemporary art appeals to him. “If you don’t have Realism as a foundation you cannot paint abstraction or expressionism well,” He says, citing several celebrated Chinese contemporary painters. According to Jin, “What is lacking in China is not thinking, but technique. No matter how good your idea, without the proper technique you cannot realize it.” But as Classic Realism drifts ever further into the past, and the speed of change continues, we might ask if Chinese art schools should abandon Realism and focus instead on teaching contemporary modes of expression. Jin believes there is room for both Classic Realism and Modernism, as well as for traditional ink painting. He is right, of course. With its easy-to-read imagery and admirable technique, there is still demand for Realism in China and abroad, and there will be for years to come. “I have no doubt in the future existence of oil painting. Oil painting is still something new for the Chinese,” he says, “and the more the Chinese see the more they will like it.” But as the Chinese audience becomes increasingly familiar with new technologies and sophisticated alternative forms of expression, their aesthetic horizons will expand to encompass not only the Classic Realism of Jin, but new forms of art as yet unknown. By the early decades of the 20th century, the Symbolists and Surrealists had explored poetic and fantastic realms. Juxtaposing images that would not be found together in the real world, they posited new and varied meanings for things we thought we had understood, and explored psychology and the world of dreams first charted by Sigmund Freud and others. The Expressionists amplified reality in unexpected ways by veering from realism into distortion of line, color and proportion. They discovered the expressive properties of formal elements that until then always were linked to describing the way scenes and objects appear to the eye. The Cubists devised an analysis of form and space that reflected the action of the mind and eye. They incorporated multiple perspectives in a single static image, developing a graphic means to reflect visual experience as durational over time, and modulated by thought as well as sight. Abstract artists eventually abandoned representation altogether and investigated the expressive potential of form itself — color, shape, line and texture existing in their own purely artistic dimension. These new modes enabled art to critique and question the basis for knowledge and epistemology. Marcel Duchamp, for example, in exhibiting a urinal as sculpture, overturned received notions of aesthetics and high art, and urged viewers to consider artistic aspects of everyday objects. His strategies were echoed decades later in Pop Art, which brought a new range of commercial subject matter into the field of art. Previously the imagery of commerce and advertising had been considered beneath the realm of high art, but with the onslaught of the mass media in the economic boom of the later 20th century, artists recognized consumer culture as an unavoidably prominent feature of our social landscape, and a necessary subject in art. Since then visual artists have delved into Minimalism, Conceptualism, and revivals of various Modernist styles from the past. They have incorporated photography, film and video into their practice, increasingly merging visual art and other media and disciplines. They have combined found objects in assemblages and installations that bring aspects of theater into the gallery, and conducted social actions and performances that lately have come into vogue in museums. And in the digital age artists have begun to explore the internet and social media as tools for self-expression. Today there are no limits to the means available for an artist to communicate ideas and to interpret the contemporary condition. In the 20th century, Pablo Picasso paid homage to Eugène Delacroix, Jean-Auguste Dominique Ingres, Velázquez, and other earlier masters. Picasso’s Cubism itself spawned scores of followers, as did Mondrian’s balanced geometric abstractions. Jason Edward Kaufman is an art critic and cultural reporter based in New York. His writing has appeared in The Washington Post, The New York Times, The Wall Street Journal, The Los Angeles Times, The Art Newspaper and numerous other publications. For more information and to subscribe to his IN VIEW Culture Bulletin visit http://jasonkaufman.com. This essay appeared first in Jin Shangyi: Compliments to Vermeer [catalogue accompanying exhibition of the same name], Central Academy of Fine Arts, Beijing, 2011, pp. 90-103.